Conductor Scott Seaton is in increasing demand on the international level as a winner of the INTERAKTION competition in Berlin and as a semi-finalist in the 2012 Sir Georg Solti International Conducting Competition in Frankfurt, Germany. He has been praised as a conductor with “finesse, clarity, and precision” by the Luxembourg Times and has left audiences “breathless” according to Entertainment News Northwest. Seaton is entering his second season as Music Director of the North State Symphony and was recently named Principal Conductor of the Veridian Symphony Orchestra. From 2012-2015, he was the Music Director of the Minot Symphony Orchestra in North Dakota where he conducted classical, family, education, and pops concerts, and collaborated with internationally acclaimed guest artists. Additionally, he has served as Assistant Conductor of Festival Opera (Walnut Creek, California) and has worked on several productions from Puccini’s Turandot to Britten’s A Midsummer Night’s Dream with Music Director Michael Morgan. He has also held posts with the Kent State University Orchestra, the Lakeland Civic Orchestra, Orchestre de l’Université de Montréal, the Davidson College Symphony Orchestra, the New England Collective Chamber Orchestra, the New England Conservatory Symphony, the University of Kentucky Symphony Orchestra and Opera Theatre, the Nashville Intercollegiate Orchestra, and the Nashville Youth Symphony, among others. Since his international debut in 2007 with the Orchestre Philharmonique du Luxembourg, Seaton has conducted orchestras spanning North America, South America, and Europe. In recent seasons he has performed with the Jackson Symphony Orchestra, Pennsylvania Centre Orchestra, the South Jutland Symphony Orchestra (Denmark), Cabrillo Festival Orchestra, Toronto Philharmonia Orchestra, Mansfield Symphony Orchestra, Tonhalle-Orchester Zurich, Whatcom Symphony Orchestra, Portland Columbia Symphony, and the Western Plains Opera. In the 2015-2016 season, he will make debuts with the Johnstown Symphony Orchestra and the Elizabethtown Symphony. He has also worked with numerous other orchestras, including the Brandenburger Symphoniker, Fort Worth Symphony, Milwaukee Symphony, Charlotte Symphony, Memphis Symphony, Winnipeg Symphony, National Symphony Orchestra, Magdeburg Philharmonic, Bamberg Symphony, Frankfurt Radio Symphony, Orquesta Filarmónica de la Universidad Nacional Autónoma de México, Cincinnati Symphony, Detroit Symphony, and the Bohuslav Martinů Philharmonic Orchestra. 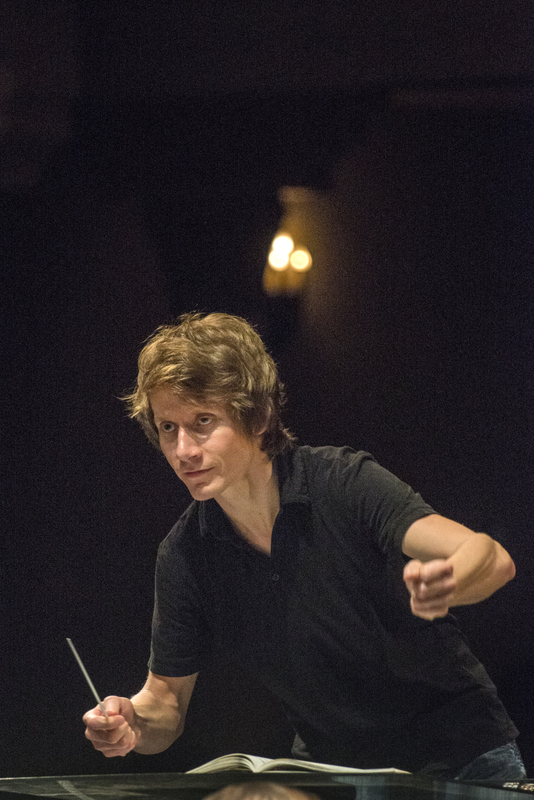 As a semi-finalist in the 2012 Sir Georg Solti International Conducting Competition (Frankfurt, Germany), Scott placed in the top ten conductors from a pool of over 400 conductors from 73 countries that were initially considered. He was also a quarter-finalist in the 2010 Gustav Mahler International Conducting Competition (Bamberg, Germany) where he was one of twelve selected from an applicant pool of over 280 conductors from 58 countries. In 2010, Seaton was personally selected by David Zinman to conduct the Tonhalle-Orchester Zurich in performance. Seaton was also chosen by Maestro Ricardo Muti as a finalist for the Chicago Symphony Orchestra’s Sir Georg Solti Conducting Competition and Apprenticeship. In 2010, he was personally selected by Maestro Kurt Masur to work with him and the Manhattan School of Music Orchestra. In 2008, he participated in the National Conducting Institute where he worked with Leonard Slatkin and conducted the National Symphony Orchestra. In 2011, Seaton was invited to and won the INTERAKTION competition and was given the opportunity to conduct an orchestra composed of all of Germany’s top orchestras, including the Berlin Philharmonic, Konzerthaus Orchestra, German Symphony Orchestra, and the Radio Symphony Orchestra Berlin. He also served as Assistant Conductor at the 2011 Hot Springs Music Festival as well as having been invited by James Levine to study at the prestigious Tanglewood Music Center. An enthusiastic advocate of contemporary music, Scott has conducted numerous premieres in the past several years. In 2007, he gave his Jordan Hall debut at the New England Conservatory with the New England Collective Chamber Orchestra performing works by emerging talents in the Boston area. Additionally, he appeared on New Music for the Sonically Curious, a series of performances in Boston devoted to works of composers in the New England area. He has worked with the New York City-based Mimesis, an ensemble dedicated to the music of living composers, since 2008. In 2010, he recorded several works with FiveOne in Cleveland. Originally from Nashville, Tennessee, Seaton has earned degrees from the Université de Montréal, the New England Conservatory, and the Blair School of Music at Vanderbilt University. Scott’s mentors include Michael Morgan, Jean-François Rivest, Robin Fountain, and Charles Peltz. Seaton has undertaken additional studies with Kurt Masur, David Zinman, Stefan Asbury, Gustav Meier, Marin Alsop, Jorma Panula, Larry Rachleff, Kenneth Kiesler, Alexander Mickelthwate, Peter Eötvös, and Zsolt Nagy, among others. An avid cyclist and runner, Scott recently did a solo cross-country cycling trip from the Oregon Coast to Boston and also qualified for the Boston Marathon in the 2015 Twin Cities Marathon. Visit him online at www.scott-seaton.com.